My novel, Tahòle, The Politics of Love, is now available at Amazon.com and Lulu.com. E-Book version of Tahòle is now available at Lulu for $9.99! The book is a novel, of course, but as with most pieces of literary fiction, I have drawn heavily on the experience of my own life. Eighteen years ago in May, I returned to the United States with my children after leaving my Bengali husband of seven years, and after having lived with his family in Bangladesh for five of those years. Tahòle tells of an American woman’s rite of passage in a Third World country, living as part of her extended family in Bangladesh. It shares the passionate love the protagonist, Twyla, feels for her host country. It attempts to depict the country’s breathtaking beauty alongside its filth and poverty with the depth and compassion it deserves. The story follows Twyla as she struggles to adapt to the deeply entrenched patterns of codependency inherent in the culture. She ultimately stumbles onto principles that liberate her from the disease, and allow her to create the life she wants for herself and her children. Along the way she finds herself; she discovers that she has intrinsic value, free will, and a voice of her own. The story attempts a deeper understanding of the two cultures and all its characters, and suggests not so much a culture clash as a clash between incompatible partners, both doing their best to live their highest truth. The paradox Twyla finds is in how similar—while how different—Eastern and Western cultures really are. In my practice as a social worker and counselor, I see women and men every day who struggle with the same important questions and challenges as Twyla, and know from personal experience that sometimes the most profound connection comes out of knowing that, despite all the evidence that would suggest otherwise, you are not alone. I invite your comments, your discussion, and your feedback to the story. Click on this link if you’d like to read some of Toni’s shorter pieces. I’ve been living in Bangladesh with you for the past week while reading Tahole. It was a well-written, emotional, unique, ride, staying up late to read while sharing your journey to self-awareness. What a gifted storyteller! Toni, you transport your readers immediately to Bangladesh, and intimately into the lives of your cast of characters. This was fascinating to read, and I look forward to enjoying your next novel. In the meanwhile, I will read this one again! 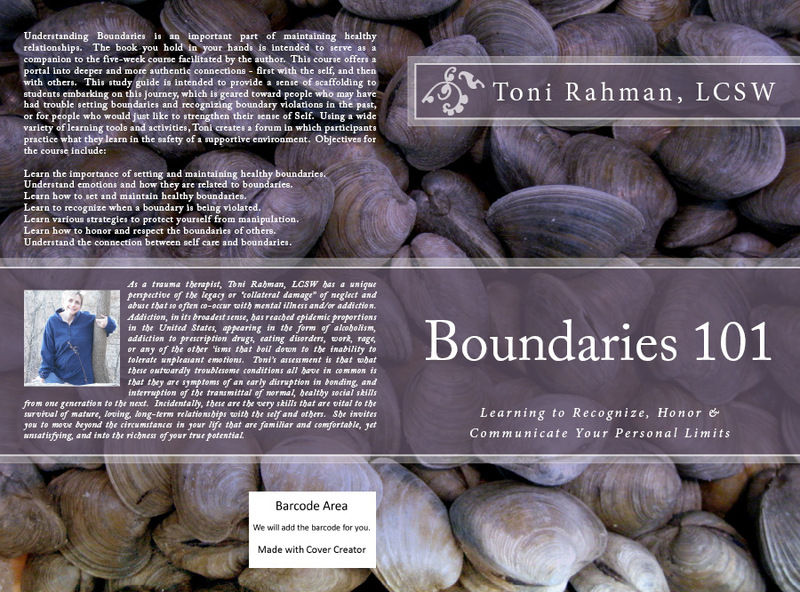 A privileged glimpse into another world… With this book, Toni Rahman offers a sometimes painful, sometimes joyous, always honest glimpse into a culture that’s barely on the radar screen of most Americans. At the same time, her journey reveals a deeply human soul in the process of self-discovery against the backdrop of this culture. Filled with vivid imagery, an intricate plot and characters that stay with you long after you’ve put it down, this book is a real page-turner that you won’t want to stop reading till the very end.